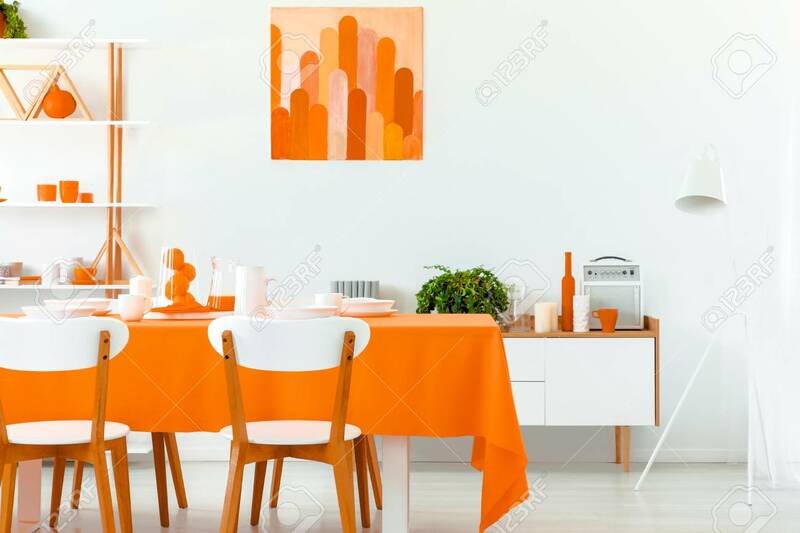 White Wooden Chairs At Table In Orange Dining Room Interior With Poster On The Wall And Lamp. Real Photo Banque D'Images Et Photos Libres De Droits. Image 110007438.